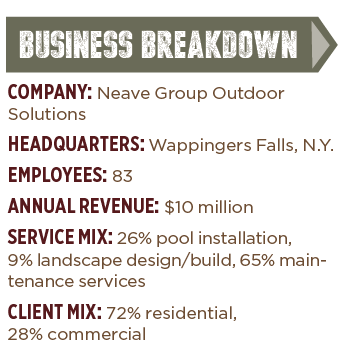 How an emerging technology helps one landscape company sell more jobs. 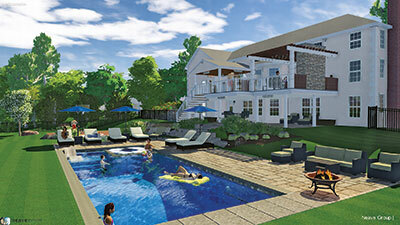 There’s no question that a 3D design rendering can close a deal. Without a picture, many clients struggle to visualize what you’re proposing. But even a picture has its limits, according to Neave Group Outdoor Solutions, which is using an emerging technology—virtual reality—to bring its landscape designs to life in a way that wows and sells. 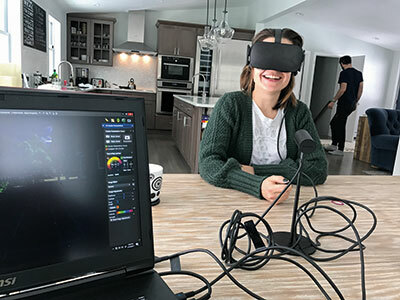 Still, Kind says VR, which is the computer-generated simulation of a 3D environment that can be interacted with by a person using special equipment like a headset—is not without its kinks. The biggest issue is clients sometimes get nauseated by the feeling of moving around in a virtual world. Kind says that he always gives the client a “warning” and points out that roughly one out of every four people tends to get a “seasick type of feeling” from the technology. It’s easily remedied by taking a break. But Kind says even the clients who’ve felt sick are still impressed. Implementing VR has meant investing in Oculus Rift goggles, which cost about $500, as well as a “gaming laptop,” which typically runs around $2,500. The larger investment is in time. Because of the high level of detail required, Kind says it’s too time consuming for smaller projects. But it’s absolutely something he’ll do for a large project—and it pays off. Kind says implementing VR capabilities also has kept the company on the “cutting edge”—a place where he says it’s always been and makes an effort to stay.